"Chuck Versus the Frosted Tips"
Discuss the latest Chuck Episode here. Chuck has some fears about Morgan having the intersect and it going to his head. Elsewhere Sarah helps Casey navigate his relationship with Gertrude Verbanski. And in the meantime Devon is spending his paternity leave with baby Clara at home but quickly finds it unexciting and that leads him to the Buy More where he makes a startling revelation about Jeff and Lester. The best episode of the season so far. Although the way they finally got to Morgan was a little to easy for my taste, I liked that we know he has to remove the Intersect. Even more interesting was the fact that the Intersect was planted. Someone wanted Chuck out, but not dead. They wanted him to forget himself, and because he's the only one that can handle the Intersect right, maybe they wanted him to become this remorseless super-spy? If so, I'm glad that Morgan took the Intersect, because if Chuck had done it, it would've been almost impossible to stop him. I agree - I think that if Chuck had it, he would have truly lost himself. If you want to bring a person down like Chuck, there's no way crueler than making him forget what's important in life (Sarah, his friends, his family). This is what I actually predicted with my wife when it happened last season - I knew trouble was up. The way I see it, there was two ways to do this angle. 2. 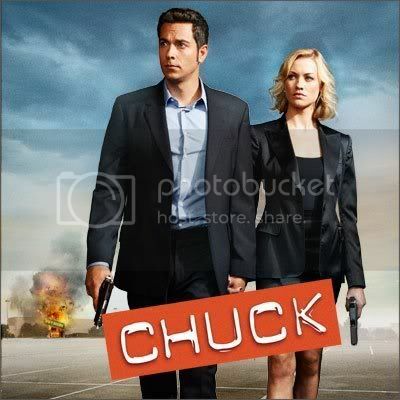 The glasses had a different effect on Morgan because he wasn't Chuck - the intersect, after the Beta was accidentally tested on Chuck as a child, always had a connection to Chuck. We've seen the effect it had on a different people - Morgan was getting a combination of Volkoff's reaction and something else. While I did enjoy this possible angle, I suppose there would be a hang-up in the fact that Chuck's dad had it too but I still think this would have been great since it had a point of origin that would be intriguing. Regardless, great episode and clearly the best of the season. So many great moments. Loved how Sarah was the voice of reason when the guys (Chuck and Casey) were playing the game of vengeance/romance. Both were hurt and going through an emotional challenge that was leading them during the mission - if not for Sarah, Morgan is lost for good perhaps. Still not sure how Chuck didn't put two and two together about Morgan's memory - but I'm along the line of thinking that his jealousy over not having the intersect (which he really couldn't deny) was too strong to see that.